Cashback applicable on 1 transaction per day. Offer valid where Paytm is accepted through QR Code. * Cashback applicable on 1 transaction per day. Cashback will be credited within 48 hours. * Customer can avail cashback on maximum 2 transactions during the campaign period. * Maximum cashback applicable is Rs.50. * Participation in this campaign is valid till 28th Feb 2017 till 23:59 hours. * Offer valid where Paytm is accepted through QR Code. * In cases of fraudulent/suspicious transactions, Paytm solely reserves the right to revoke the cashback offer. * Cashback amount can vary from Re.1 to Rs.50. 1. 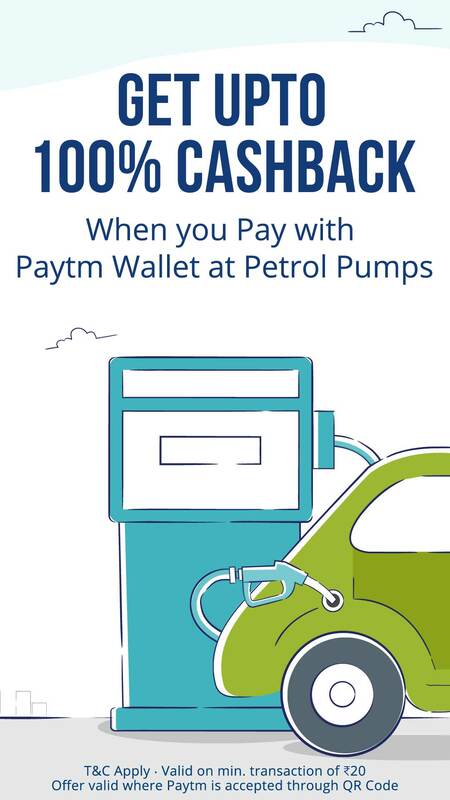 Pay at petrol pumps with Paytm Wallet using the QR code. 2. Once the payment is made; you will receive cashback within 48 hours.